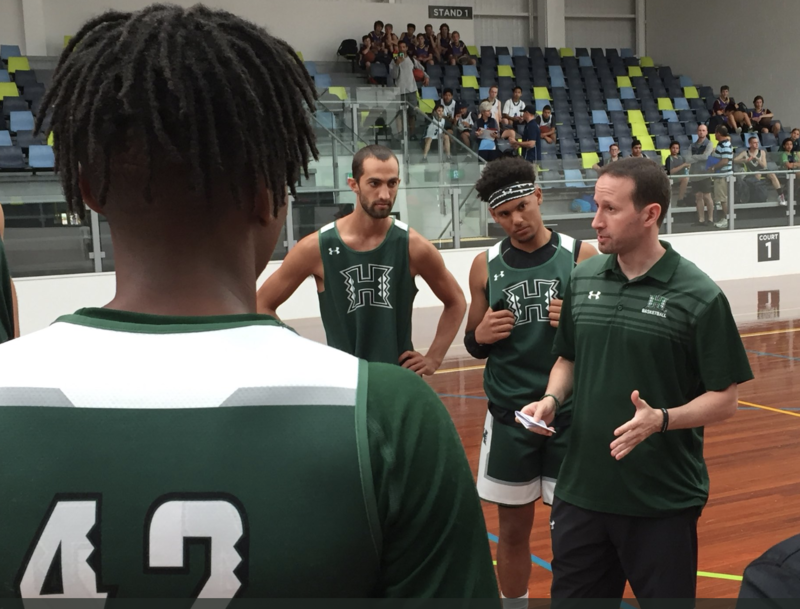 The University of Hawai’i basketball team has already spent two days in Brisbane, Australia, to start its 2018 Down Under Tour. The Rainbow Warriors got in a 90-minute practice at Carrara Indoor Sports Stadium yesterday, followed by some sightseeing and shopping. The Warriors are scheduled to play their first exhibition game of the tour late Friday night (Saturday in Australia) against the Brisbane Bullets. 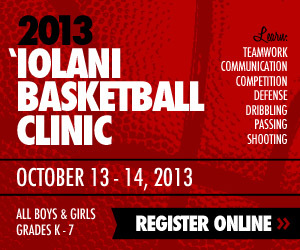 www.hawaiiathletics.com is providing coverage of the trip. CLICK HERE for a blog entry covering the start of the Tour. In a Very Physical game against an older, more mature NBL Professional Team, the ‘Bows struggled with turnovers and executing their offense against tight man pressure. Trailing 20-22 with two seconds left in the first half, UH committed an inbounding violation and Brisbane converted in those two seconds to lead at the half 24-20.
pull away in the fourth quarter. Newcomers redshirt Maté Colina, Dawson Carper and Eddie Stansberry all acquitted themselves quite well in their unofficial UH debuts, with Stansberry the only ‘Bow in double figures, of the ten who scored, Brisbane’s balanced attack had five players in double figures. Where on brisbanebullets.com is the info you posted ?